Bronx, New York City, NY. Summer of 1966. 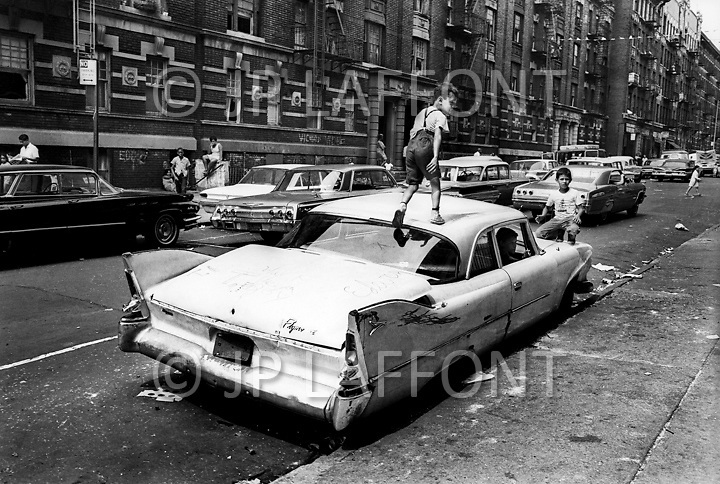 An abandoned car becomes a place for kids to play in Fox Street. From the mid-1960s to the late-1970s, quality of life for Bronx residents declined sharply.